Welcome to the Cross Canada Blog Hop for March 2014! I was actually thinking of not joining this month because I didn't have a card box and not enough time to order one. Then I attended Nancy Klein's team meeting in Cochrane, Alberta last weekend and each of us received a card box to decorate!! Woohoo!! Thanks Nancy! So let's get on with the hop! If you got here from Terry Ann's blog, you are on the right path, but if you get lost along the way, just return to Michelle in Nova Scotia where you will find the list of hoppers. Here is my recipe box set. The pieces were are distressed with Chocolate ink except for the recipe cards. I added three Durables Triangle Studs to the zip strip on the lid. 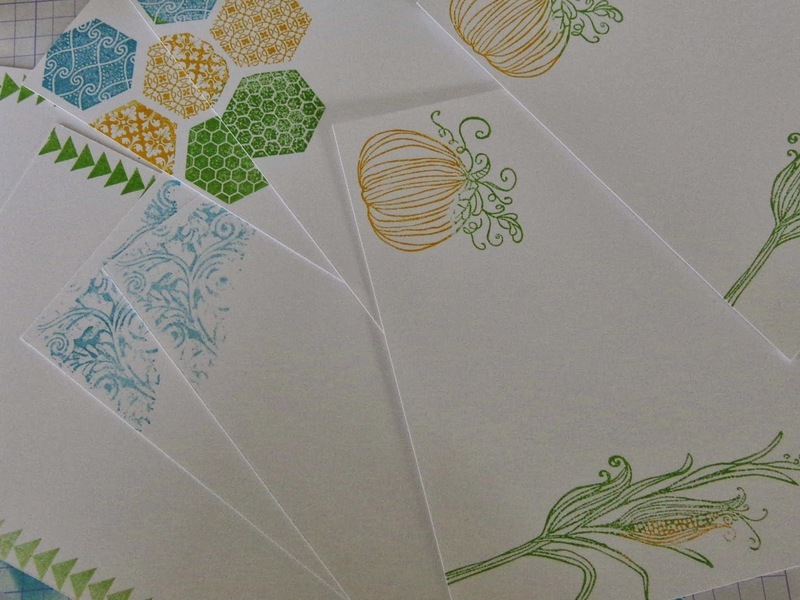 They work so well with the Skylark paper. 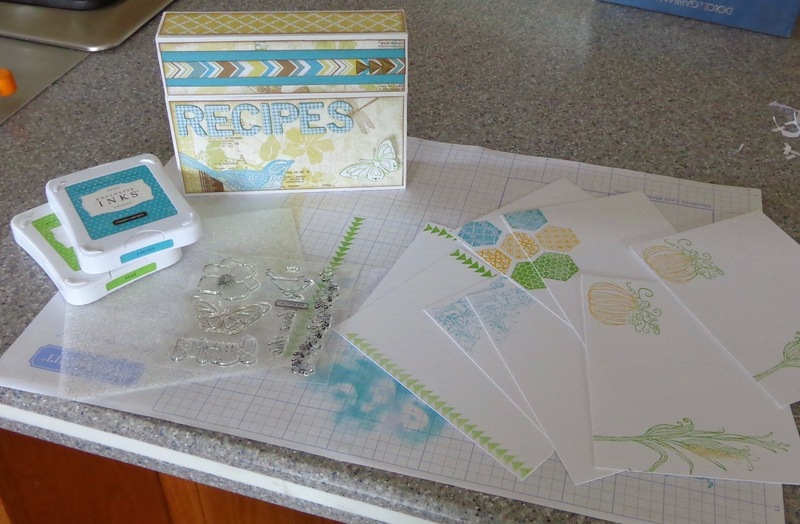 I made 8 recipe cards using White Daisy cardstock that I stamped with Honey, Pear and Lagoon inks and a variety of stamps. I just went to my stash and found several stamps with images that worked with recipe cards (or at least I think they do). I added a butterfly stamped with Pear ink to the front. I had one that I coloured but because there are no Pear or Lagoon markers, the closest colours looked really awful! I decided to leave it plain and just added Stardust Glitter Glue to the wings to give them a little glint. The Resistibles Houndstooth letters are inked with Lagoon. Thanks for hopping along with us this month! I hope you like my little recipe card box and will leave your comments. Next on the hop is Famida so hop on over and have a look at her contribution! If you would like information about any of our beautiful products, please contact your local Close to my Heart Independent Consultant. 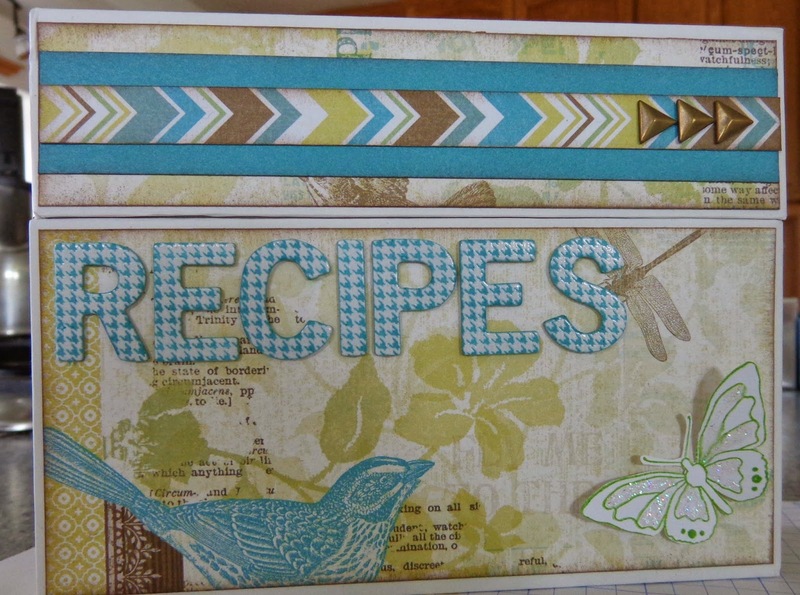 Did you use the journalling box as the recipe box? That is a fabulous job. Love Skylark. Adorable!! Course I always like your creations, plus you're using skylark, so how could I not like it.